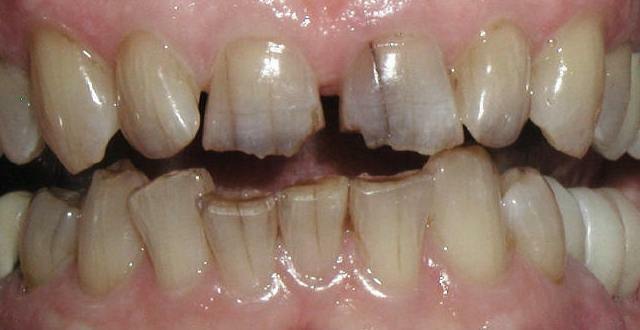 These teeth are chipped and discolored. Only the two central incisors need to be restored. 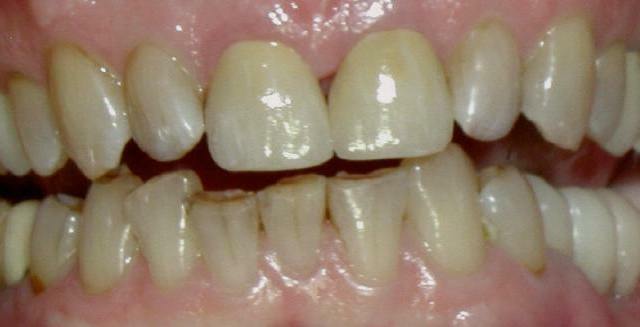 The two central incisors were restored with porcelain/ceramic crowns. The crowns were made to blend in with the remaining natural dentition.